Purchasing workwear should be easy, use the Tibard website to find the best pieces to build your business’ uniform. Tibard is a nationwide manufacturer of high-quality uniform, we’re a family business and we’re incredibly proud of over three decades in the business. 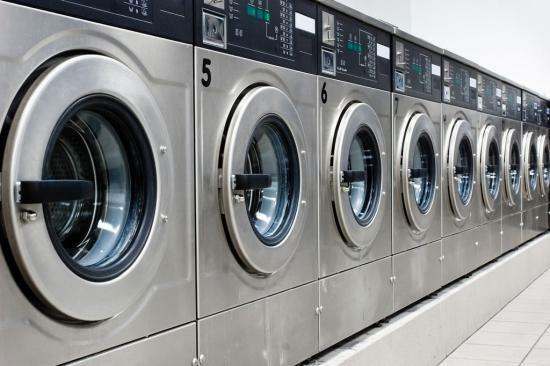 Our services extend far beyond the large purchasing of uniform, we also supply commercial laundry and uniform rental services in Birmingham for the ease and the convenience of our customers. There are many great benefits to buying your workwear online from Tibard, not least because of the huge range that we have available and the incredible diversity of our product offerings. We can supply workwear in Birmingham, Walsall, Wolverhampton and Dudley at such low prices because we of the high volume that we sell to some of the UKs largest chains and business groups. Among the many other great reasons to buy from us online is the ability to receive bulk discounts on large volume orders and because if you ever need more workwear, you can easily reorder which saves you both time and money. Everyone who is interested in uniforms and workwear in Birmingham, Walsall, Telford and Wolverhampton can buy from us online however, we do suggest that those interested in the very largest of orders take advantage of one of our many excellent services that are tailored to large businesses. These services include the rental and laundry of workwear uniforms which means that you can clothe a large workforce without having to invest a large amount of capital and the laundry ensures that they are always kept clean. Tibard is also proud to offer bespoke uniform design services should your business require something unique. In fact, we provide workwear throughout the West Midlands that's competitively priced and professional looking. If you want to find more about how Tibard helps big businesses with their uniform and workwear needs then simply view our services page and then take a look at our various case studies which show exactly how we have worked with businesses similar to you. Tibard is proud to work with many businesses within Birmingham, as we have the widest range of uniform and workwear available in the UK. For both businesses big and small we offer a variety of quality services to ensure you get the best uniform and that is maintained to the highest quality possible. Businesses who need workwear embroidery in Birmingham should find out more about our personalisation service which we can offer on most of our range of uniforms. Using this service will ensure that your uniforms and business stands out from the competition by having your names and logo on the clothes that you wear. No matter what your workwear needs are and no matter how big or small your business is, Tibard will have a cost effective solution that adds real value to your business. If you want information on any aspect of uniform or workwear supply then please get in touch with us to get expert advice and help from our team.